Here is a video I put together of a Saturday hike we had with Wangchuk. We hiked down the road from our house to a grouping of very famous temples. Then we visited a spring for a drink. The spring is said to be holy water. Guru Rinpoche is reputed to have drank the water and the powers of the water released a demon inhabiting his body. The locals line up here everyday and wait in line for hours to drink from the spring. This is one of the people that was in “What the Bleep Do We Know“. I’m looking around and will post that movie soon as well. I wanted to post this because it gets back to some of the core things I want to address on developing yourself internally. I think he gives a great talk that hits many of the core things that I believe myself. I’m going to write more about this and put up some more posts on this topic, so I’ll stop for now. I thought it was important to get back to the spiritual element of a discussion on politics, environment, animal usage, etc. This film talks about the Tibetan book of the dead. It discusses some of the beliefs Tibetan Buddhists have about the dying process and what comes after death. I think my interest in Buddhism stems from the fact that it focuses on self discovery and self awakening. It doesn’t rely on a God. You may see giant Buddha statues and think, oh that’s the god Buddhists pray to, but in fact you’d be wrong. The statue is you in essence, the enlightened mind in all beings. I wouldn’t say that I’m a Buddhist, but I do like many of the ideas they have about the nature of consciousness. I think it also relates the to teaching of C. G. Jung as well. 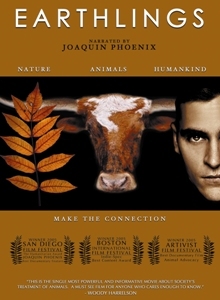 EARTHLINGS is a feature length documentary about humanity’s absolute dependence on animals (for pets, food, clothing, entertainment, and scientific research) but also illustrates our complete disrespect for these so-called “non-human providers.” The film is narrated by Academy Award nominee Joaquin Phoenix and features music by the critically acclaimed platinum artist Moby. With an in-depth study into pet stores, puppy mills and animals shelters, as well as factory farms, the leather and fur trades, sports and entertainment industries, and finally the medical and scientific profession, EARTHLINGS uses hidden cameras and never before seen footage to chronicle the day-to-day practices of some of the largest industries in the world, all of which rely entirely on animals for profit. Powerful, informative and thought-provoking, EARTHLINGS is by far the most comprehensive documentary ever produced on the correlation between nature, animals, and human economic interests. There are many worthy animal rights films available, but this one transcends the setting. This movie made me cry watching it. We all really need to start thinking about our choices and what we contribute to in our daily lives. Understanding the chain from production to the store shelf is essential. This film filled in a lot of the blanks for me about steps in the process that I never see. It helped me understand the implications of my buying actions. I have to say it made me happy I’m a vegetarian. This isn’t the reason I became a vegetarian altogether, but it reinforces the choice I made. I think this is an important entry for the political discussion as well. Food and energy are two potential flash points for humanity, so I think we should all be educating ourselves so that we can understand the implications and take appropriate actions in the future. We’re disrupting both eco-systems and natural resources in significant ways and our rate of consumption in both respects is going to change in the near future. The oil is finite and will disappear sooner than later and eco-systems that are disrupted are going to have far reaching affects. Most environmental scientists are predicting a cascade crash of biological systems. 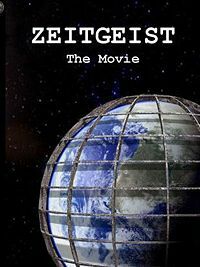 If you watch a lot of films like Zeitgeist you start to ask the question, “Is this destruction all planned?”. It’s a scary, scary thought. I saw this movie a while back and it really got me to question a great many things. I’m very skeptical by nature so a lot of this was hard to accept, but I must admit I had to at least consider the possibility that this could be true. All media is a form of propaganda, a rhetorical pitch so to speak. The maker is trying to present an argument of sorts, their vision of reality, hoping you will buy into it. For me the trick has been not to “buy into” any of the things I’ve seen so far, but just add them to the database of my mind, and let my observations, time and my inner self guide my experiences and thoughts. I thought it would be good to add another video that has a more spiritual grounding. This one talks about “Surrendering Your Aggression”. Chögyam Trungpa is a Tibetan Buddhist. I wanted to make this post because Noam Chomsky has influenced me, as well as many others, considerably. 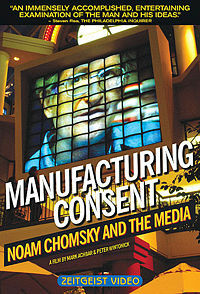 This full length documentary covers much of Chomsky’s career and core philosophical as well as political viewpoints. I find Chomsky to be very direct, uncomplicated and to the point. I may not agree with all his viewpoints, but I find it hard to refute many of the things he says. I encourage you to watch the documentary in entirety. This is a rather lengthy interview (16 parts) with Jiddu Krishnamurti and David Bohm. I thought it was important to start any discussion of politics by first addressing the inner self. I think that in order for any of us to analyze or make any kinds of judgements or assessments of the outside world, we need to understand who we are and what we are. How many of us attempt this? Have you ever even stopped to think about it? Well, many people have thought about it extensively. I think as I study the inner self (mind or soul or psyche or ego, etc.) that it begins to change my view of the outside. So as I change inside, my perceptions change and my politics invariable change as well. I think the discussion must start with the inside. So I guess these entries are going to interweave politics and self exploration. At any rate, if you get through the videos above, I think it gets you into a state of questioning a great many things, which is where I think you want to be.